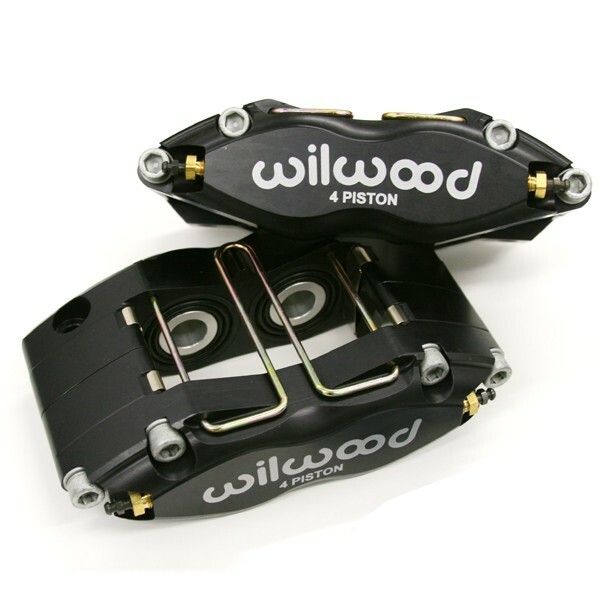 If you are thinking about changing to OEM Turbo 4 piston calipers then you have to change the rotors, spindles, hubs and struts... After all of that you still have to buy the calipers. With this kit you get all the benifits of the turbo brakes but you JUST replace the Calipers! You even get to keep your 15" OEM wheels if you like, they fit right under them. 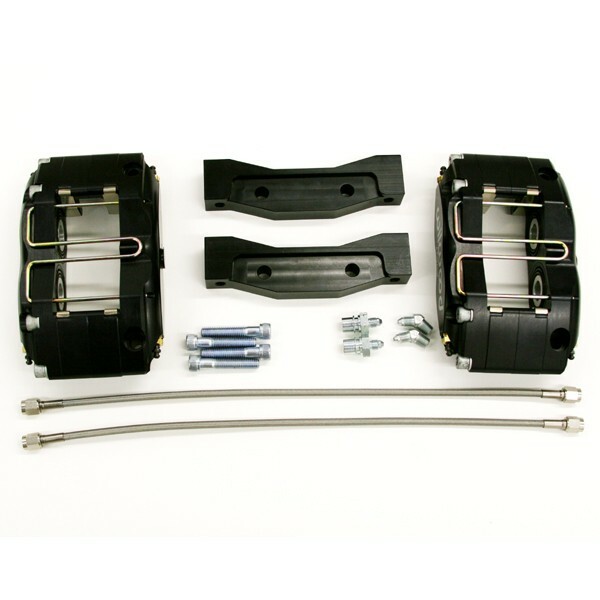 This kit replaces only the front calipers by design. It has custom piston sizes that work with the stock rear calipers to give you the absolute best breaking without having to adjust the bias. To install the kit just remove the old calipers (2 bolts), bolt the new ones in place (2 bolts), and install the included SS braided brake lines. Its just that simple. A quick brake bleed to get the air out of the lines and you are ready to drive. This kit fits all 944 na cars from 1983 to 1989 including the S and 924S models. It will work with all OEM 15" or larger wheels including "phone dials" and "cookie cutters." These pads offer almost everything our E class pads do while keeping dust and noise to a minimum. These are the recommended street pad for this kit. Medium friction compound with the low noise and low dust of a street performance compound and the increased friction characteristics of a semi-metallic race compound. Smooth engagement with consistent response from a flat torque curve throughout its entire effective temperature range. Good low to middle temperature wear rates. Beds quickly and provides fast response without excessive abrasion on vented iron rotors. Class E pads are the most popular track pad. They are perfect for DE and sprint type racing use. They operate at a lower temperature than the Class A compound but have a level friction coefficient from cold. PolyMatrix "E" has the highest temperature range within the medium temperature group pads. Its medium to high torque curve makes "E" an excellent choice for weekly racing on all type of dirt tracks and lighter duty pavement categories. "E" compound exhibits a gradually progressive torque curve through the low temperature range and then stays virtually flat throughout the remainder of its temperature band. This flat torque curve yields immediate, predictable pedal response and superior modulation characteristics throughout its entire temperature range. PolyMatrix "E" is a superb material on all cast iron and high strength steel rotors. It has excellent response and fade resistance right out of the box and will improve after one moderate bedding cycle. 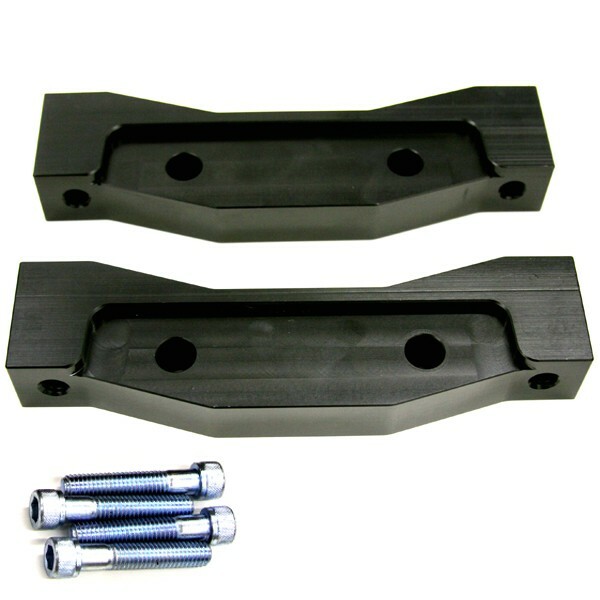 With its short break-in requirement, it is easily bedded simultaneously with new, unseasoned cast iron rotors. Once bedded, it provides a consistently smooth transfer layer and eliminates any engagement pulsing or chatter that can result from uneven material build up on the rotor faces. A smooth transfer layer also provides quick, predictable release for maximum consistency. The uniform thermal transfer characteristics of all PolyMatrix compounds will minimize hot spotting and heat checking. 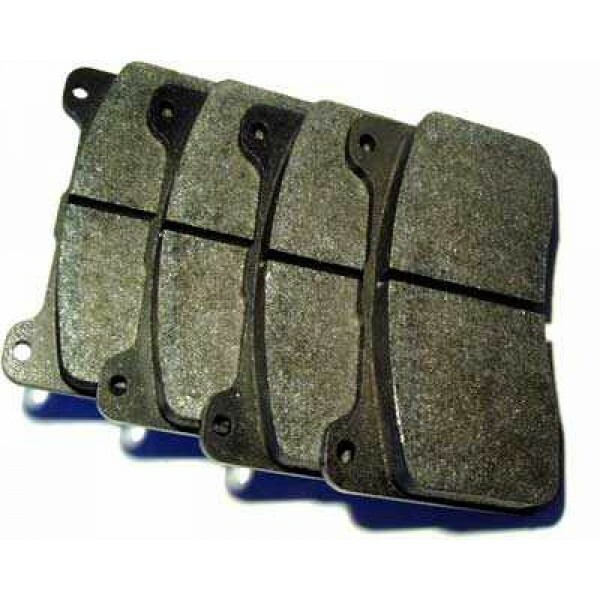 Rotor life is ultimately extended over other hard or abrasive brake pad compounds.